One of the reasons water in the human body is structured is because it contains salts. Salts are an integral part of the water matrix helping to create and hold liquid crystalline structure. Ocean plasma (also referred to as marine plasma) is micro-filtered seawater harvested from pristine areas in the ocean. It is the premier salt solution containing the entire periodic table of elements as well as many elements in their Ormus form (a high-spin state with unique properties that support the structure and energetic quotient of water). Besides the complete list of minerals, ocean plasma includes DNA, enzymes, proteins, organic acids, and many biological and biochemical factors not yet defined by science. The geometry inherent in ocean water helps water to amplify and to hold vibratory information better than any other solution. Its significance was discovered and evaluated by the French scientist René Quinton (1866-1925). René Quinton became interested in the similarity between the oceanic environment and the saline environment within our bodies in the late 1800s. His research verified the similarity between the composition of the ocean and the composition of our own internal fluids. The ocean (in a dilute form) is preserved in the human body. Amniotic fluid is an ideal example. Blood and lymph fluids are also dilute mirrors of the ocean. But perhaps the most important reflection of the ocean within us is the fluid that bathes each cell (called extracellular fluid). Every cell in the body is connected through this fluid. Quinton’s years of investigation proved that an organism’s survival depends on maintaining the quality of its own internal ocean. He demonstrated that when our internal ocean is restored to its original composition, cells, organs, and tissues respond rapidly. In a number of free clinics throughout Europe and Northern Africa, Quinton and a group of doctors saved the lives of thousands of individuals (mostly children) during the early 1900s by infusing patients with ocean plasma. Records indicate their success rate with a wide variety of ailments and serious conditions was well over 90%. One of the most interesting experiments conducted by Quinton demonstrated the life-supporting qualities of ocean plasma. He and a team of doctors completely removed the blood from a dog and replaced it with ocean plasma. Following a short recovery period, the dog regained strength and lived many more years—with a rapid improvement in energy and overall health. Read the experiments Quinton conducted with dogs. Ocean plasma is a living matrix containing genetic codes that span billions of years. It can literally ignite and renew genetic potential. Quinton’s work demonstrated that the ocean may be the key to restoring our own genetic blueprint. Many well-documented case studies conducted in Quinton’s clinics revealed that infusion with ocean plasma had the ability to overcome genetic defects. The illustrations to the right show a 20-year-old woman with continuous loss of weight for five years, accompanied with daily vomiting, and an absence of menstrual periods. The second photo was taken after 2 months of ocean plasma infusions. Thousands of children who received ocean plasma in Quinton’s clinics also recovered from diseases and genetic abnormalities. The 4-month-old baby pictured (left) had severe digestive problems. 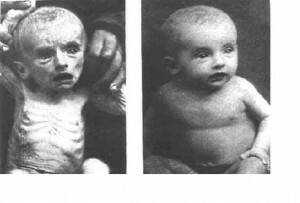 The second photo illustrates how the same baby was thriving just six months later with the infusion of ocean plasma. The very extensive observation that I have personally been able to collect over the past quarter of a century are extremely eloquent. . . I have investigated in Lyon and Paris what had become of the old athreptic cases, those that go back 10, 15 and even 20 years and more. A big surprise awaited me. All these infants lived all these years without any diseases whatsoever. All these tiny humans, with death at their doorstep (because most of our cases were those that had been abandoned and given up as hopeless), all these resuscitated infants found a new vitality that, according to the supporting documents, persisted throughout the years. Ocean plasma has been available for medicinal and nutritional use since 1904—applied by hundreds of doctors in clinical and emergency settings throughout Europe, Asia, Africa, and South America. In 1906, seawater was used by D. Robert Simon in the treatment of tuberculosis. Dr. Jean Jarricot (pediatrician) worked for many years in his dispensary where he treated thousands of children with seawater; he collaborated with Quinton to document detailed therapies and protocols for nursing children. He had exceptional success with athrepsia (malnutrition) and cholera. Doctor P. Barrière – Bordeau 1907, published a book titled “L’EAU DE MER: en ingestion dans les dyspepsies” (Ocean Water used orally in dispepsia cases) – its effects regarding gastric secretions and urinary excretion. Dr. R. Basser (1953) reported that 70% of his cases suffering from psoriasis, prurigo and neurodermatitis showed considerable improvement when treated with ocean plasma. In 1954 Dr. R. Bench reported good improvement among one hundred allergic patients. He reported the profound effect of ocean plasma on the total organism. Dr. H. Hansche (1957) observed that oral administration of ocean plasma had powerful regulating action on the intestines. He obtained remarkable improvement with many patients suffering from asthma and eczema. Ocean plasma was used by the French Army as a blood plasma replacement for many years. Ocean plasma was officially recognized as a pharmaceutical in Europe for over 80 years until it was removed from the French Medical Dictionary (the French equivalent of the Physicians’ Desk Reference) because it was not heat sterilized. Read a translation of the Dictionnaire Vidal entry, which includes the medical conditions for which ocean plasma was originally approved. 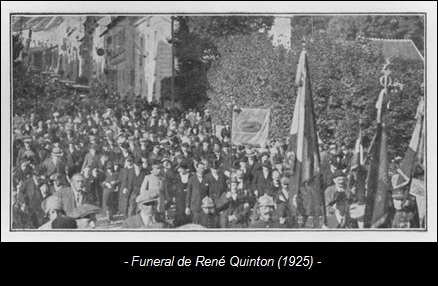 When René Quinton died in 1925, masses attended his funeral services, yet today he is largely forgotten. His name has nearly been wiped from the pages of history. However, his work is re-gaining popularity. In some countries today, seawater is used as a FOOD — a nutritional supplement. Ocean plasma has many therapeutic applications the most recent of which is its use as an isotonic dilution (a .9% saline concentration that matches the saline concentration of human fluids) in conjunction with colonic therapy. Ocean plasma is also the very best way to add salts in the creation of full-spectrum living water, and it is the best way to help water retain energetic information. A structured water solution made with ocean plasma will help water to amplify and to hold vibratory information better than any other solution. • As a salt solution for re-mineralizing and structuring water. (Add 1-2 Tbsp of Ocean plasma to every ½ gallon of water before structuring.) The resulting water contains a complete blend of over 80 organically-complexed minerals. Water structured with Ocean Plasma is able to hold structure longer than water structured with other salt/mineral blends. It is also capable of holding information to a greater degree than other structured water. • For regenerative benefits. Drink 1/4 cup or more each morning – or mix with juice or other beverage. • As a pick-me-up during the day. Spray under the tongue. • As a preconditioning treatment for seeds. Spray prior to planting to activate genetic potential, especially if you intend to harvest your own seeds. • As an energetic enhancement to food. Spray on prior to consumption. In several European countries there has been a revival of drinking ocean water. Many people collect their own and drink it by the glass. It is also used to cook with. Ocean Plasma from Dancing with Water is available in 1 liter glass bottles in its natural 3.3% saline concentration. It is harvested from a depth of 100 feet, 35 miles off the shore of Nova Scotia where the pristine Arctic Labrador current meets the Grand Bank current of Newfoundland. Ocean plasma is cold micro-filtered and ozonated to preserve its living qualities. No preservatives of any kind are used. Ocean PlasmaOne del agua razones en el cuerpo humano se estructura es porque contiene sales. Las sales son una parte integral de la matriz de agua para ayudar a crear y mantener la estructura cristalina líquida. Plasma Océano (también conocido como plasma marino) es agua de mar microfiltrada recogerse en zonas prístinas del océano. Es la mejor solución salina que contiene toda la tabla periódica de los elementos, así como muchos elementos en su forma Ormus (un estado de alto espín con propiedades únicas que soportan la estructura y el cociente energético de agua). Además de la lista completa de los minerales, el plasma marino incluye ADN, enzimas, proteínas, ácidos orgánicos, y muchos factores biológicos y bioquímicos aún no definidos por la ciencia. La geometría inherente en el agua del océano de agua ayuda a amplificar y para mantener información vibratoria mejor que cualquier otra solución. Su importancia fue descubierto y evaluado por el científico francés René Quinton (1866-1925). René Quinton se interesó por la similitud entre el ambiente oceánico y el ambiente salino dentro de nuestros cuerpos a finales de 1800. Su investigación se comprobó la similitud entre la composición de los océanos y la composición de nuestros propios fluidos internos. El océano (en una forma diluida) se conserva en el cuerpo humano. El líquido amniótico es un ejemplo ideal. Fluidos sanguíneos y linfáticos también se diluyen los espejos del océano. Pero quizás la reflexión más importante del océano dentro de nosotros es el líquido que baña cada célula (denominado líquido extracelular). Cada célula en el cuerpo está conectado a través de este fluido. Años de Quinton de investigación demostraron que la supervivencia de un organismo depende de mantener la calidad de su propio océano interno. Demostró que cuando nuestro océano interno se restaura a su composición original, células, órganos y tejidos responden rápidamente. En una serie de clínicas gratuitas en toda Europa y el norte de África, Quinton y un grupo de médicos salvado la vida de miles de personas (la mayoría niños) durante el año 1900 por la infusión de pacientes con plasma marino. Los registros indican su tasa de éxito con una amplia variedad de enfermedades y condiciones graves fue más del 90%. Uno de los experimentos más interesantes realizados por Quinton demostró las cualidades que sustentan la vida de plasma océano. Él y un equipo de médicos eliminado completamente la sangre de un perro y lo reemplazó con el plasma marino. Tras un breve período de recuperación, el perro recuperó fuerza y ​​vivió muchos años-con más de una rápida mejora en la energía y la salud general. Leer los experimentos Quinton realizó con perros. Ocean plasma es una matriz viviente que contiene los códigos genéticos que abarcan miles de millones de años. Es, literalmente, puede encender y renovar potencial genético. El trabajo de Quinton demostró que el océano puede ser la clave para restaurar nuestro propio mapa genético. Muchos estudios de casos bien documentados realizados en clínicas de Quinton revelado que la infusión con plasma océano tenía la capacidad de superar los defectos genéticos. Las ilustraciones de la derecha muestran una mujer de 20 años de edad con pérdida continua de peso durante cinco años, acompañada de vómitos diarios, y la ausencia de períodos menstruales. La segunda foto fue tomada después de 2 meses de infusiones de plasma océano. Miles de niños que recibieron plasma océano en las clínicas de Quinton también se recuperaron de enfermedades y anomalías genéticas. El bebé de 4 meses de edad, en la foto (izquierda) tuvo problemas digestivos graves. La segunda foto muestra cómo el mismo bebé prosperaba sólo seis meses más tarde con la infusión de plasma océano. La muy extensa observación de que he sido capaz de recoger personalmente en el último cuarto de siglo son muy elocuentes. . . He investigado en Lyon y París lo había sido de los antiguos casos athreptic, los que se remontan a 10, 15 e incluso de 20 años y más. Una gran sorpresa me esperaba. Todos estos niños vivieron todos estos años sin ninguna enfermedad en absoluto. Todos estos pequeños seres humanos, con la muerte a su puerta (porque la mayoría de nuestros casos fueron los que habían sido abandonados y dado por imposible), todos estos neonatos reanimados encontraron una nueva vitalidad que, de acuerdo con los documentos de apoyo, persistió a lo largo de los años. Ocean plasma ha estado disponible para su uso medicinal y nutricional desde 1904–aplicada por cientos de médicos en el ámbito clínico y de emergencia a través de Europa, Asia, África y América del Sur. En 1906, el agua de mar fue utilizado por Robert D. Simon en el tratamiento de la tuberculosis. Dr. Jean Jarricot (pediatra) trabajó durante muchos años en su dispensario donde atendió a miles de niños con el agua de mar; colaboró ​​con Quinton documentar terapias y protocolos detallados para los niños lactantes. 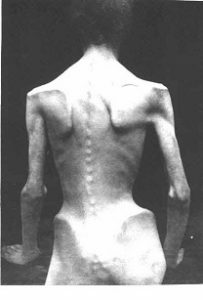 Tuvo un éxito excepcional con athrepsia (desnutrición) y el cólera. 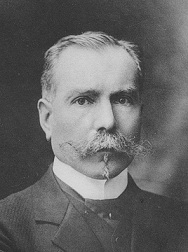 El doctor P. Barrière – Bordeau 1907, publicó un libro titulado “L’EAU DE MER: es la ingestión dans les dyspepsies” (Ocean Water utiliza por vía oral en los casos dispepsia) – sus efectos en relación con las secreciones gástricas y la excreción urinaria. Dr. R. Basser (1953) informó que el 70% de sus casos que sufren de psoriasis, prurigo y neurodermatitis mostró una mejora considerable cuando se tratan con plasma marino. En 1954 el Dr. R. Bench informó buena mejora entre un centenar de pacientes alérgicos. Informó el profundo efecto de plasma océano en todo el organismo. Dr. H. Hansche (1957) observaron que la administración oral de plasma océano tenía potente acción reguladora sobre los intestinos. Se obtuvo una mejora notable con muchos pacientes que sufren de asma y eczema. Ocean plasma fue utilizado por el ejército francés como sustituto del plasma sanguíneo durante muchos años. Ocean plasma fue reconocido oficialmente como un producto farmacéutico en Europa durante más de 80 años hasta que fue retirado del Diccionario Médico francés (el equivalente francés de la Physicians ‘Desk Reference), ya que no fue esterilizado por calor. Leer una traducción de la entrada Dictionnaire Vidal, que incluye las condiciones médicas para las cuales se aprobó inicialmente el plasma marino. Cuando René Quinton murió en 1925, asistieron a las masas sus servicios funerarios, sin embargo, hoy se ha olvidado en gran medida. Su nombre casi se ha borrado de las páginas de la historia. Sin embargo, su trabajo se vuelve ganando popularidad. En algunos países hoy en día, el agua de mar se usa como un ALIMENTO – un suplemento nutricional. Ocean plasma tiene muchas aplicaciones terapéuticas más recientes de las cuales es su uso como una dilución isotónica (una concentración salina 0,9% que coincide con la concentración salina de los fluidos humanos) en conjunto con la terapia de colon. Ocean plasma es también la mejor manera de añadir sales en la creación de agua viva de espectro completo, y es la mejor manera de ayudar a retener el agua información energética. Una solución de agua estructurada hecha con plasma océano ayudará agua para amplificar y para mantener información vibratoria mejor que cualquier otra solución. • Como una solución de sal para la re-estructuración de mineralización y agua. (Añadir 1-2 cucharadas de Ocean plasma a cada ½ galón de agua antes de estructuración.) El agua resultante contiene una mezcla completa de más de 80 minerales orgánicos acomplejados–. El agua estructurada con el océano de plasma es capaz de mantener la estructura ya que el agua estructurada con otras mezclas de sal / minerales. También es capaz de mantener la información en un grado mayor que otra agua estructurada. • Para beneficios regenerativos. Tome un cuarto de taza o más cada mañana – o mézclelo con jugo u otra bebida. • Como un pick-me-up durante el día. Pulverización bajo la lengua. • Como tratamiento de preacondicionamiento para semillas. Rocía antes de plantar para activar el potencial genético, especialmente si usted tiene la intención de cosechar sus propias semillas. • Como mejora energética de los alimentos. Rocíe en antes de su consumo. En varios países europeos se ha producido un resurgimiento de beber el agua del océano. Muchas personas recogen su propia y beben de la copa. También se utiliza para cocinar. Ocean PlasmaOcean Plasma de Bailando con agua está disponible en botellas de vidrio de 1 litro en su estado natural concentración salina 3,3%. Se cosecha a partir de una profundidad de 100 metros, 35 millas de la costa de Nueva Escocia, donde la corriente ártica Labrador prístino se encuentra con el actual Gran Banco de Terranova. Ocean plasma se filtra micro–frío y ozonizada para preservar sus cualidades de vida. No se utilizan conservantes de ningún tipo.